Two great KXCI presents! shows this Friday September 14th with the B-Side Players and Diunna Greenleaf. Tune in to hear a great interview at 4:45 Friday with Diunna Greenleaf and KXCI's Marty Kool, host of The Blues Review, on The Home Stretch. 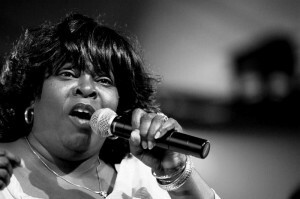 Diunna Greenleaf is a Koko Taylor Award Blues Queen 2012 nominee. This remarkable blues singer hailing from Huston Texas, find out more about her on air and with her band Blue Mercy featuring Bob Corritore at her Rhythm and Roots performance Friday at 8pm at Plaza Palomino. 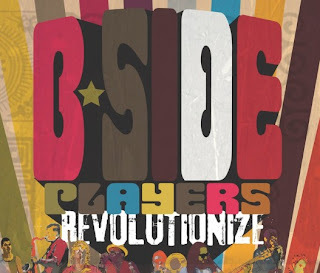 The B-Side Players were featured at last years Festival En El Barrio and are back for another KXCI Presents! show at Club Congress this Friday. This triple bill of the B-Sde Players, The Jons and Carlos Arzate brings their revolutionary latin reggae and rock to the Club Congress stage at 8pm. The Wiyos - Studio 2A & KXCI Presents! Two Gallants - live in-Studio 2A & KXCI Presents!